At last week’s quarterly Town Hall meeting, Mayor Herb Roach provided updates on several current and upcoming economic development projects. The downtown area is seeing several ongoing projects, with new construction happening for the first time in 50+ years. 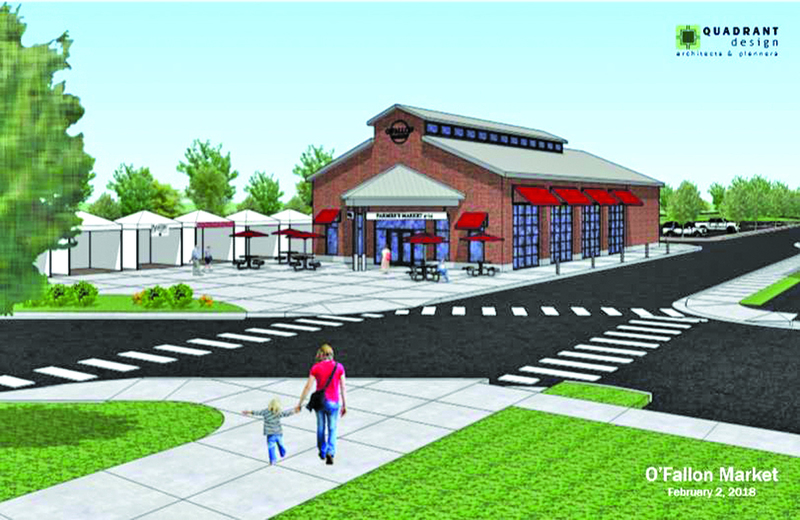 The O’Fallon Station should be completed mid-November, with a list of activities already planned for the winter months. The Outdoorsman expansion and the 1st Street Exchange retail building are currently be constructed across the street. With the completion of the parking lot at the O’Fallon Station, the mayor indicated 120 new paved and lighted parking spots will have been added downtown this year. This includes the new parking lot at City Hall and the converted bus lane outside of the Chamber Depot. Central Park Drive has several changes happening. Marcus Theater has started the construction on an expansion project, bringing an Ultrascreen theater to the east end of the existing facility. Meyer Honda is now Serra Honda, and the mayor mentioned the new owners have purchased 17 acres in that area for a new project. 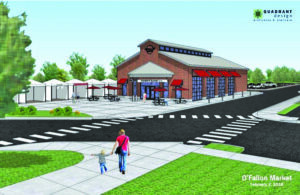 The old Gander Mountain building will be home to two new businesses at the first of the year, a Northern Tool and a currently unnamed fitness company. Regency Park will see two new hotels and a new medical office building. Marriott Town Place Suites is currently being constructed behind Dewey’s Pizza and Bella Milano restaurants. Construction is projected to start this fall on the new Hampton Inn, to be located next to the Regency Conference Center. A medical office focused on cancer treatment services was recently approved by council across the street from St. Elizabeth’s hospital, next to Enjoy Church. Construction has started on the new HSHS Rehab Center at the McKendree Metro RecPlex site. Across Troy-Scott Road from the RecPlex, council recently approved a development known as Aberdeen Village that will include 244 two-bedroom townhomes and three commercial lots. A demo plan is in place for Southview Plaza, but a specific project has not been presented yet. The mayor mentioned some projects, whose plans are not public yet, are coming soon for the lumber yard across from Walgreens and the former Pizza Hut location.